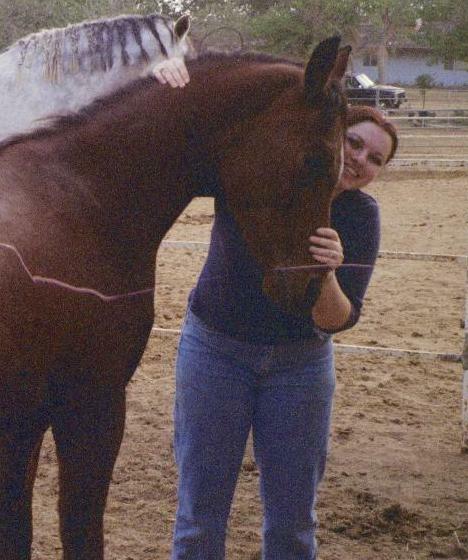 On October 29th, Vanessa and I played hookie from our jobs to go out and visit her horses. She has two there, Merlin, her 1 year old baby, and Angel, technically her mother's. This time Vanessa worked on getting Angel trained a bit, at least on the road to being rideable, while I wandered arround and irritated 2000 pound animals. First, Angel, Vanessa's mom's beautiful horse. Since Vanessa's mom hasn't had much time to spend with Angel, she is not ready for riding. So, today Vanessa spends a couple of hours just trying to get Angel to stand still! She is a wonderful horse however, very tame, and loves the much needed attention. Here is Vanessa with Merlin, the famed extra-cute pose. Merlin truly loves Vanessa, and stayed by her side all the time we let him out to play in the field. Seeing these horses rather nuzzle up to a person and play than run and jump in the dirt like I would expect them to is amazing. Merlin is a sweetheart. He even played with me a bit, when I tried to brush him down, he kept nibbling on my arm and trying to get my wallet out of my pocket! This is Grandpa. His real name is 'Big Al', but since that's a silly name, and he has such soulful, experienced looking eyes, I call him Grandpa. 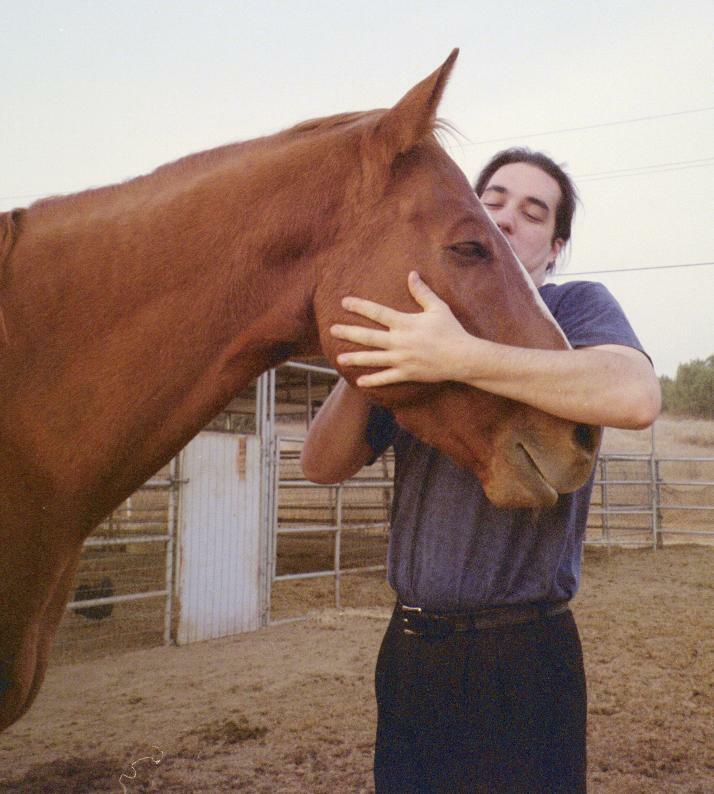 I still cannot belive that this enormous horse actually loves it when you scratch his jaw, and hug him. dan (2006-01-09): Awwww, too cute for words!! megan (2006-07-01): very cute , they are very pretty and there color is very nice ... are they a chestnut ? Erik (2006-07-01): Thanks Megan, Angel and Merlin are not chestnut, they are bays. 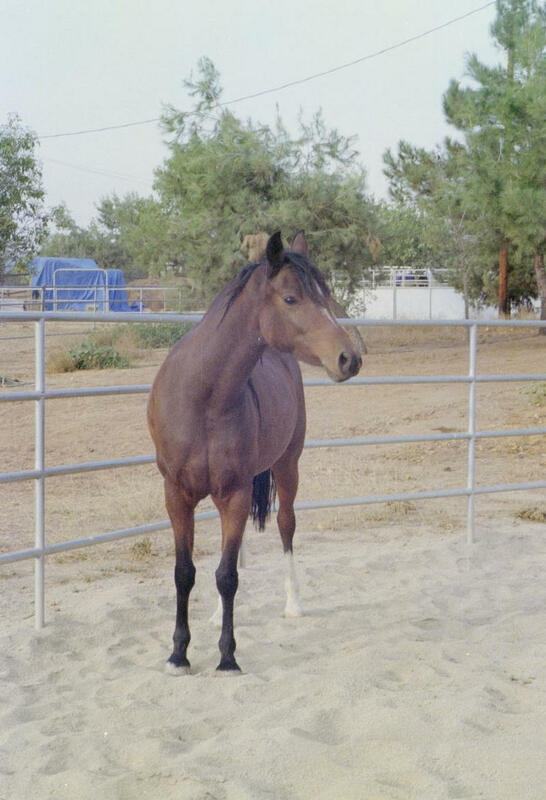 Angel is full-blood Arabian, Merlin is half Arabian, and half Quarter-Horse. gintare (2006-11-03): They are amazing!Very beutifull, you are sure lucky having horses it is my biggest dream! Erik (2006-11-07): Thanks Gintare, I hope you too someday get your own ponies! Kellie (2007-03-29): omg i love grandpa he looks just like my horse Victor he is so cute Victor loves to be hugged as well and after every ride he looks for apples in my pocket i love horses!